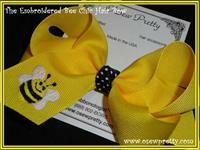 "Thanks you for having such a fantastic product. 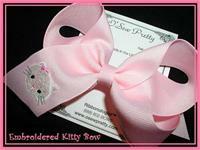 My daughter loves her embroidered hair bows. 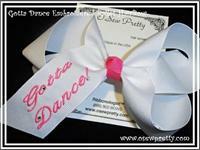 That is all she will wear now to church! 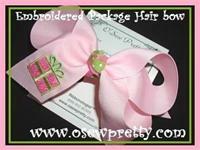 Embroidered Flamingo hair bow in your choice of sizes and colors. 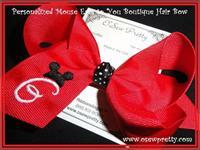 A wonderfull way to jazz up that special vacation outfit! 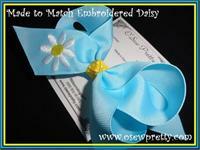 Colors shown are made to match pop of daisy, but you can design it any way you like. 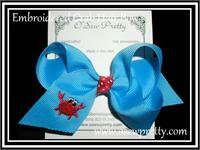 Choose your own colors to create the perfect embroidered hair bow for that nautical outfit. 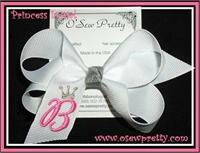 This is the "PRINCESS" way to personalize your bows! 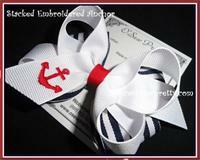 Colors shown are white with navy anchor, but you can design it any way you like. 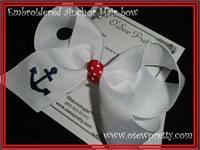 Your little girl will be ready to set sea with this nautical hair bow. 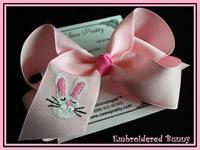 Embroidered lollipop hair bow in your choice of sizes and colors. 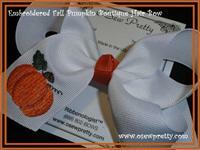 This bow makes a great treat for the special girl in your life. 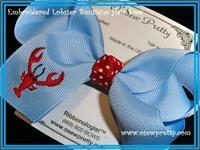 Embroidered flip flop hair bow in your choice of sizes and colors. 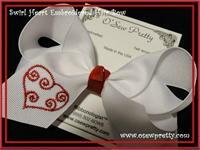 Embroidered Fancy swirl heart in your choice of sizes and colors. 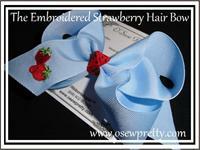 Embroidered layered heart hair bow in your choice of sizes and colors. 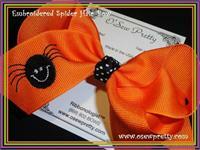 A hair bow she will want to wear all year long. 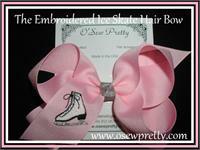 A Embroidered Ice Skate that you choose the colors to make it a perfectly matched hair bow. 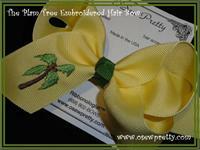 A Embroidered Apple hair bow that you choose the colors to make it a perfectly matched hairbow. 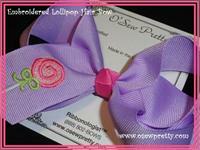 The boutique style loopy hair bow really stands up! 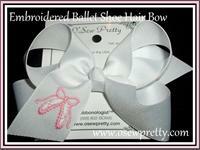 Our Boutique style embroidered hair bow is perfect anytime and available in any of our grosgrain colors. 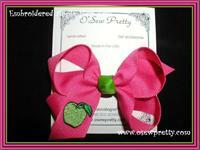 A Watermelon Embroidered hair bow that you choose the colors to make it a perfectly matched hairbow. 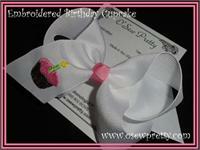 Embroidered Birthday cupcake hair bow in your choice of sizes and colors. No Sugar Added.....JUST LOT'S OF LOVE!